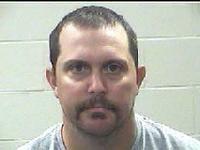 34 year old Jeremy Lynn Hopson of Goodrich remains in Polk County Jail. Goodrich Man Charged With Injuries to 2 Children, GOODRICH, September 11, 2013 - On September 2, 2013 the Polk County Sheriff's Office Criminal Investigation Division began investigating allegations of injury to a child (child abuse).During the course of the investigation and with the cooperation of Childrenz Haven and Child Protective Services, two victims were identified. Through investigation it was determined the suspect, Jeremy Lynn Hopson, 34, of Goodrich, Texas had injured two children. Forensic interviews were conducted with all the children. After interviews were conducted and statements obtained two warrants were issued for the arrest of Hopson for injury to a child and presented to Justice of the Peace David Johnson who set Hopson's bond at $75,000 on each charge for a total of $150,000 in bonds. At time of press, Hopson remains in Polk County Jail.